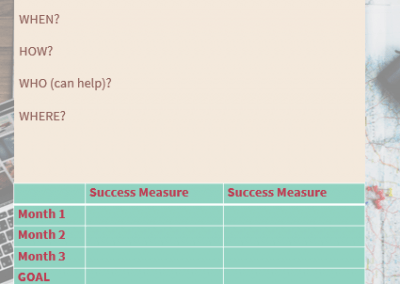 Using a business planner for business owners can be really important to your business success. 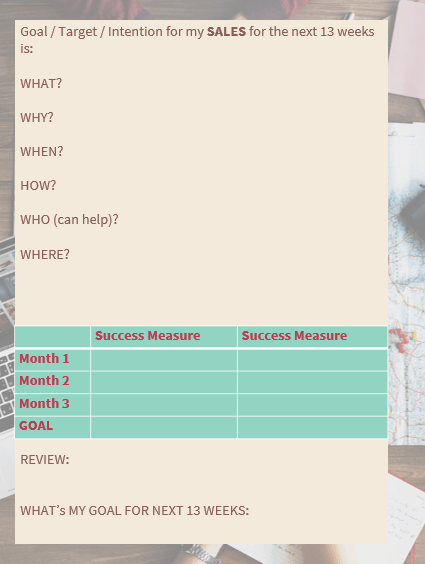 If you’re juggling lots of things in your life, trying to stay on track with your business growth can be challenging sometimes. Family, children, personal goals, and volunteering can all “get in the way” of our business growth. However, those things are important to us, and we need to find a way to make them all work together. 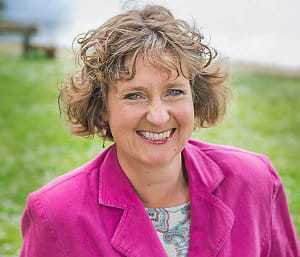 If you’d like more support to grow and develop yourself and your business, join us at the Business Cheerleading Club for monthly coaching, training and ongoing support to help you achieve your business and personal goals, despite your busy family and life. 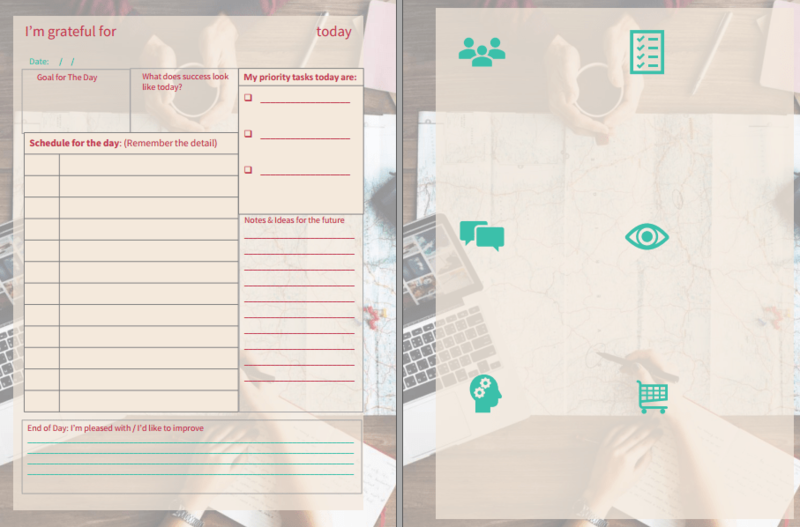 I love the daily pages, that start with “I am grateful for” They will definitely make me make my lists better in the morning. And the weekly focus pages too. They’re great. 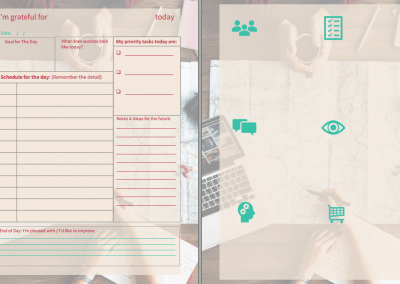 Purchase the Business Planner for Busy People as a one off purchase. 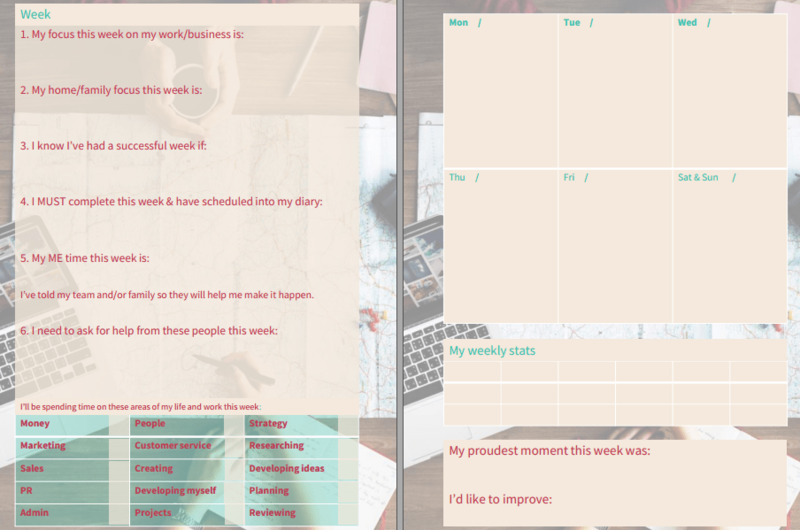 Help yourself plan, focus and stay in control of your busy life and growing your business for the next 13 weeks with the Business Planner. 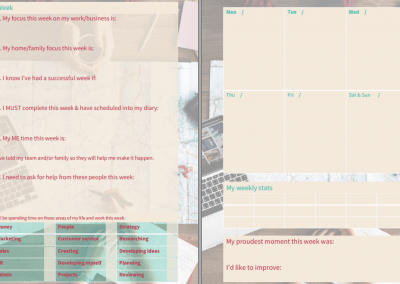 Try out the Business Planner task lists, business checklists and staying on track with your own chosen measures of achievement. 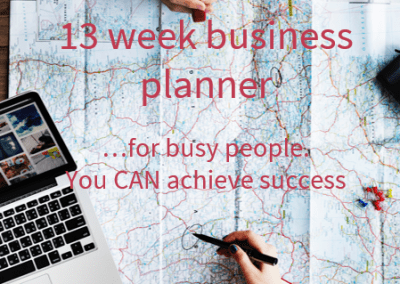 Help yourself plan, focus and stay in control of your busy life and growing your business for the next 13 weeks with the Business Planner, knowing that you don’t have to think about your next planner. It’s on it’s way. We’ll look after that. 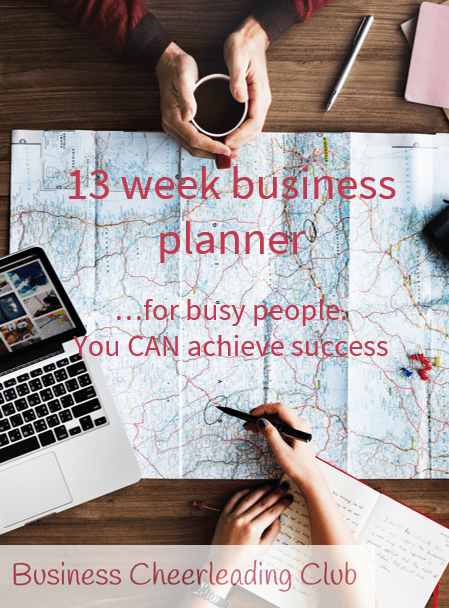 All you need to do is subscribe, and we’ll send you a new 13 week business planner in 11 weeks time and every 13 weeks after that. Stay focused, stay on top of your business development, and everything that’s going on in your busy life.